Great finger food for the race, football game, or for that cozy party. There are 2 parts to these appetizers, the seasoning and the straws. 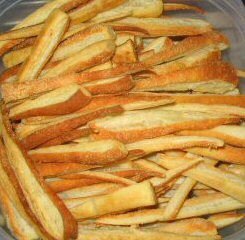 The great thing about this recipe is that you can alter so many different parts to make the cheese straws you like best. See the alternatives sections for more ideas. Total preparation time: 1 hour, 45 minutes. This makes about 1/2 cup of seasoning. Store unused portions in a seasoning bottle for next time.